I really, really loved my Mother’s Day dress this year. Every year I wear a dress, and this one beat out the rest. I thrifted this sweet thing a few days before the occasion and at a good $15 it stole my heart. It was comfortable, had that special something, and it had vintage appeal without having me lose my shape in the mix. So excited to wear it again. 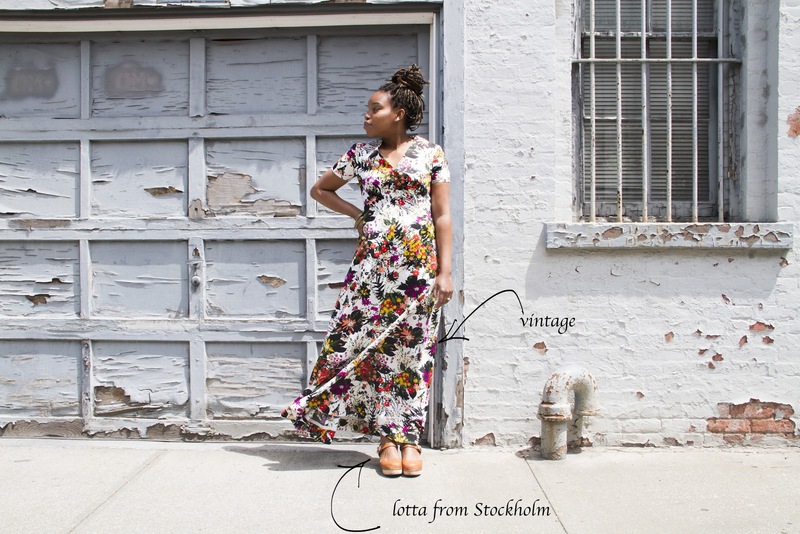 which thrift shops do you frequent in BK and recommend and the city too? Please share. That dress is awesome!